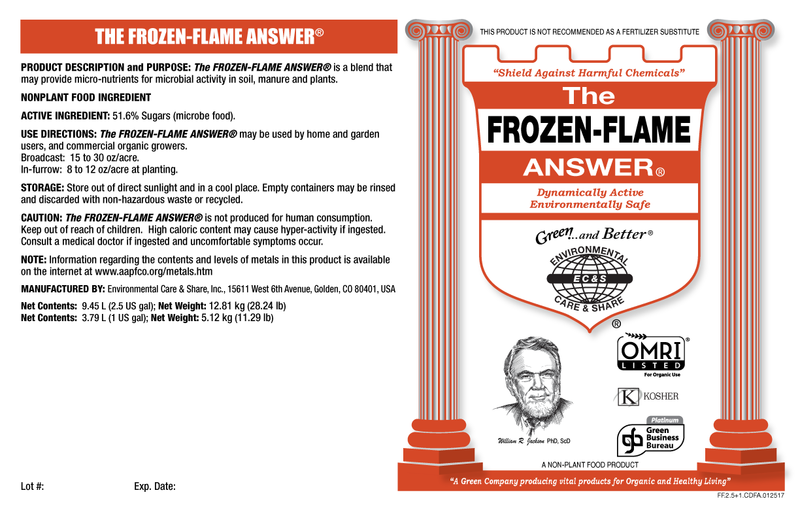 What is THE FROZEN-FLAME ANSWER® & what is its purpose? THE FROZEN-FLAME ANSWER® rapidly speeds up the breaking down of crop residues and provides an immediate food source of already digestable carbon into readily-available plant uptake. The Micro- & Macro-organisms then aid in transforming mineralized Carbon (C to N ratio) and Carbon containing waste into plant-accessible energy and nutrient sources. It’s the Answer® to maintaining optimal soil health, as it enhances micronutrient uptake, aids in creating organic matter and replenishes nutrients into the soil converting them into plant-usable form, maximizing the efficient use of residual plant nutrients, reduce fertilizer costs, and help release those plant nutrients presently bound up —enabling a more consistent and long-range nutrient availability. 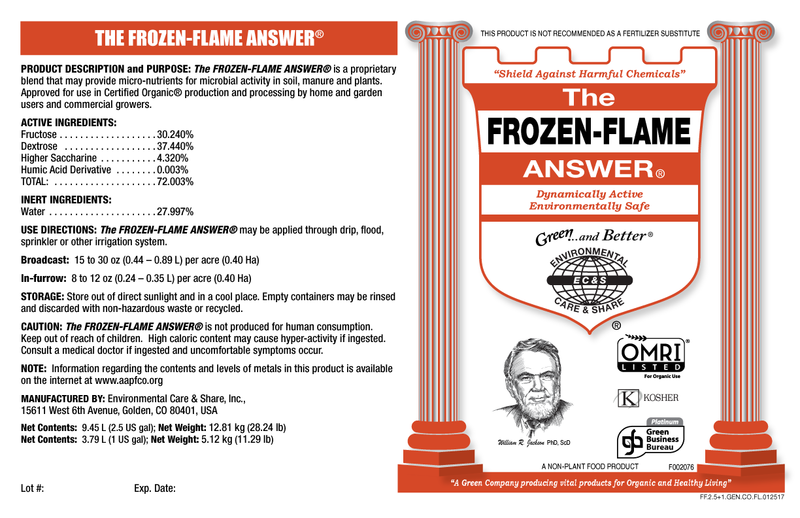 THE FROZEN-FLAME ANSWER’S® chelating ability inhibits crystallization of mineral elements during soil formation. The gelatinization of the product reduces and inhibits the crystallization of starch, using heat and moisture to break hydrogen bonds among the glucose chains, opening the molecules to enzymatic attack. It has also proven to accelerates remediation of contaminated soils through controlled toxin binding and proper feeding of beneficial microbes to promote healthy cell wall development and more robust performance. THE FROZEN-FLAME ANSWER® produces energy involving photosynthesis, enhancing the process that includes the biochemical manufacture of complex organic materials, especially carbohydrates from carbon dioxide, water, trace minerals, and inorganic salts, along with sunlight energy for chlorophyll production. THE FROZEN-FLAME ANSWER® cleans and remediates the land’s soil and water bodies that have been damaged by oil exploration and retrieval and helps extract natural products from fracking. Bioremediates the oil that has contaminated the soil and effectively breaks down the oil until it is no longer harmful and then helps return the soil to a healthy state overtime, so that it can be used again. It remediates the soil and intensifies the microbial reproduction and development within the property lines. The soil then becomes a battlefield as it replenishes itself from hazardous toxic fertilizers, pesticides and other manmade chemicals to help achieve our goal toward revitalized organic foods and abundant sustainable soils throughout the world. 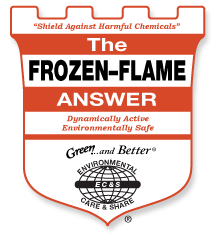 THE FROZEN-FLAME ANSWER® may be applied through drip, flood, sprinkler or other irrigation system.